Hailing from the very centre of France this enduring classic presents premium sauvignon blanc at it’s absolute ﬁnest. The Mellot family have been producing wine since 1513 when Cesar Mellot was wine advisor to Louis XIV. The wine is clear and bright with a light lemon-gold hue. The nose is distinctly ﬂoral with delicate aromas of white blossoms as well as ripe grapefruit, elderﬂower and gooseberry notes. The nose follows thorough beautifully on the palate which is dry with high, refreshing acidity and ﬂavours of mouth-watering grapefruit and gooseberry. The ﬁnish is long, lingering and delightfully fruity with that obvious chalkiness at the end. 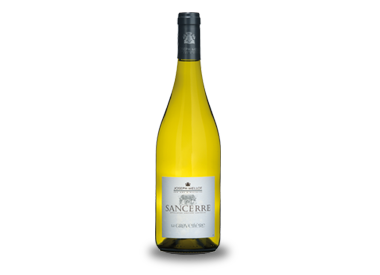 This wine is drinking wonderfully now but with an extra year or two it should develop Sancerre’s signature smoky minerality if desired. This is a serious sauvignon blanc for those looking for a more elegant alternative to New Zealand sauvignon blanc.